Our Sharing Student Scholarship blog posts showcase original scholarship written by Baylor students who conducted research using primary source materials in The Texas Collection. This post is the the third of five in a series of blog posts written by graduate and PhD students from the Fall 2018 Foundations & History of Higher Education Leadership course. Throughout the history of higher education, finances and funding have been necessary to animate and realize the mission of an institution. Finances can make or break an institution; therefore, strong leadership has always been important in making sure that the funds of an institution are being used to support both present function and foundation for the future. Funding comes from both internal and external sources to build endowments, provide student scholarships, pay institutional debts, make capital improvements, and supply for curricular and co-curricular resources. As industrialists built personal wealth during the 1890s and 1900s, the prevailing concept of the “Protestant work ethic” encouraged philanthropic stewardship of that wealth. Higher education institutions capitalized on this ethic through targeted fundraising efforts. 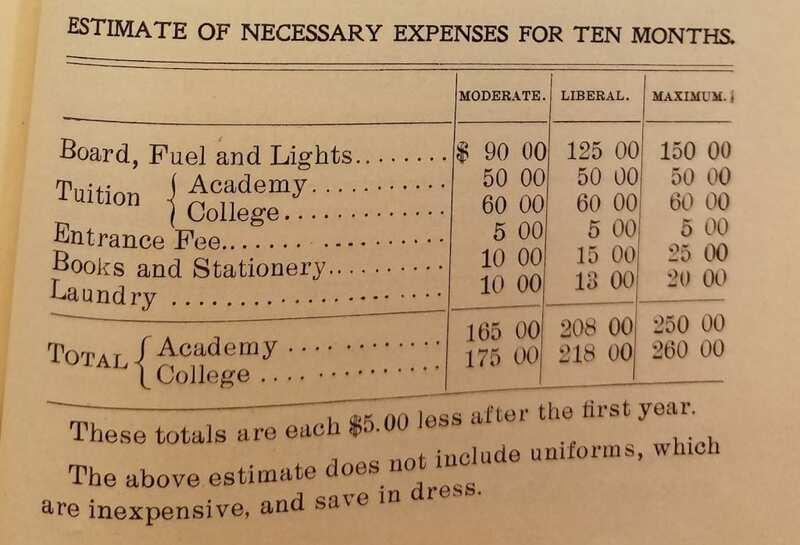 Like other denominational schools of the era, Baylor University experienced periods of financial strain and amassed considerable debt during the 1890s and 1900s. Key leaders at Baylor, including B.H. Carroll and Samuel Palmer Brooks, generated a myriad of ideas about how to raise the money necessary to keep the university solvent. Their creativity, with internal institutional insight, was beneficial to developing initiatives specific to Baylor. Estimated student expenses for the 1899-1900 academic year at Baylor. When attendance was high, tuition provided a reliable revenue stream for Baylor, but tuition alone did not generate enough income to both operate and grow as an institution. Realizing that that dependence on tuition alone was not fiscally viable, especially if enrollment declined, Dr. B. H. Carroll, who served as president on the Board of Trustees, argued for the establishment of an endowment that could generate funds for Baylor in the long term. Additionally, in 1902, newly installed Baylor President Samuel Palmer Brooks, recognized the need for new buildings on campus and for increased compensation to meet needs of Baylor’s qualified faculty. Between the two men, an endowment was established to help fund student expenses, lessening Baylor’s financial strains in other areas. As far as external impact, archival research reveals that the University had a variety of fundraising campaigns that engaged a number of emerging persons of influence. George W. Truett, for whom Baylor’s Truett Theological Seminary is named, was one of these influential people. Truett, alongside B. H. Carroll, traveled extensively with the intent to raise $92,000 in the early 1890s. They accomplished the feat in a little under two years and Baylor University was able to pay on the debts they owed. 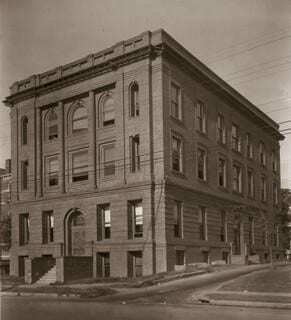 In 1907, the Board of Directors of Texas Baptist Memorial Sanitarium authorized the construction of a science building on the hospital grounds. After his initial campaign, attendance at Baylor University, and move to pastor the First Baptist Church of Dallas, TX, Truett continued to assist in raising funds for Baylor. In the mid 1900s, Truett gave a speech that led to a charitable donation used toward the charter of the Texas Baptist Memorial Sanitarium. Later, a science building would be built on the hospital grounds to start a medical school. The University not only benefited from considerable contributions to fund capital improvements to the Waco campus, but from donors, like Georgia Burleson, who gave generously to impact the curricular experiences of Baylor students. These gifts to the University included support for campus literary societies, student scholarships, and library resources. Baylor University was one of the many schools that benefited from the charitable donations given to their institution, but it also took visionary leaders who looked toward the future of the University with a view to see the institution not only survive, but thrive. John R. Thelin, A History of American Higher Education, 2nd ed. (Baltimore, MD: The Johns Hopkins University Press, 2011) 100-101.